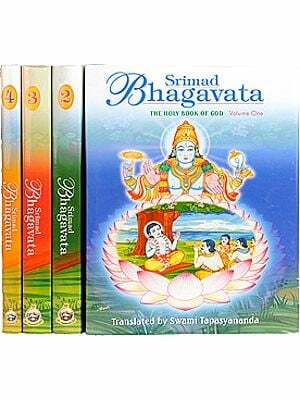 The present volume contains the Bhagavata Purana Part I (Skandhas 1-3) in English translation. It is the seventh in the series of fifty volumes on Ancient Indian Tradition and Mythology. The project of the series was envisaged and financed in 1970 by Shri Sundarlal jain the verteran enterpriser in the field of oriental publication and the leading partner messrs Motilal Banarsidas. Hitherto seven volumes of the series have been published and are ready for sale. 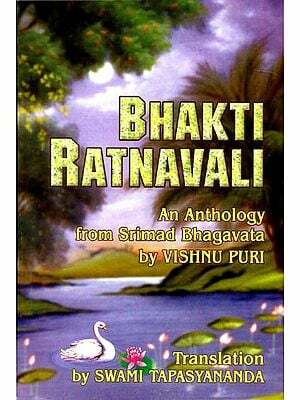 The present translation is based on the Sanskrit text of the Bhagavata Purana published by Messrs Ksemaraja Srikrsnadas Venkatesvara Press, Bombay. This text constructed on the collation of mss and supported by the oldest commentator Sridhara Svamin is fairly accurate. But we have also recorded the translation of all the additional verses accepted as genuine in the authoritative commentaries of Ramanuja and Madhva Schools there are not found in the text of Sridhara Svamin. The Bhagavata Purana Deals with a variety of subjects geographical historical philosophical religious and the like which need elucidation. This task could not be accomplished by a mere translation. We have therefore provided footnotes on these topics. On the philosophical verses especially we have recorded different interpretations of the commentators belonging to different schools of thought viz those of sankara Ramanuja Madhva, Nimbarka, Vallabha and Caitanya (Gaudiya School of Vaisnavism) and also two eminent Marathi commentators Krsna Dayarnava and Ekanatha. In the Accomplishment of this task we have utilized the commentaries published in the Bhagavata Vidya Peeth Ahmedabad Edition and in the Vrindavana edition of this purana. In order to help the reader understand the background of the subject matter we have prefixed to this part a critical and comparative introduction which discusses among other topics the date authorship, philosophy, religion and general characteristics of this Purana. A Brief not on the commentators has also been added to the introduction while a general index is thought to be included in the last Part of this work. Before closing it is our pleasant duty to put on record our sincere gratitude to Dr. S.K. Chatterjee, Dr. V. Raghavan of the UNESCO for their kind encouragement and valuable help which render this work more valuable to scholars than it would otherwise have been. We must also thank the learned translator and annotator Dr. G.V. Tagare for his untiring zeal and sustained efforts in bringing out his volume within scheduled time in spite of untold obstacles. Finally we avail of this opportunity to state that any critical suggestion and advice for improvement are welcome and will receive proper consideration from us. As a class of literature Puranas existed in Vedic times and are mentioned as such along with Brahmanas, Itihasa and Narasamsi gatha in the Atharva Veda in Brahmanas and in the Tai. Ar. 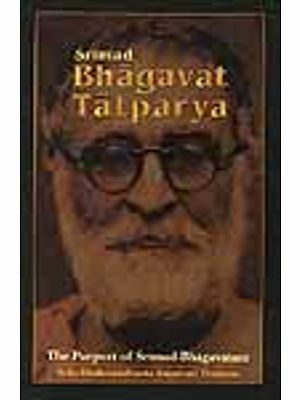 (Taittiriya Ayanyaka) by the time of the Chandogya Upa…they were accorded the status of the fifth Veda and formed a part of the syllabus of Vedic studies. The use of itihasa and purana in a collective dvandva and in the singular number in these ancient works suggests that possibly there was one work or rather tract of literature called Purana a tradition recorded in the Matsya Padma and Skanda Puranas. As P.V. Kane Shows the Apastamba Dharma Sutra Twice quotes verses from a Purana and summarizes the view of a Bhavisyat Purana. 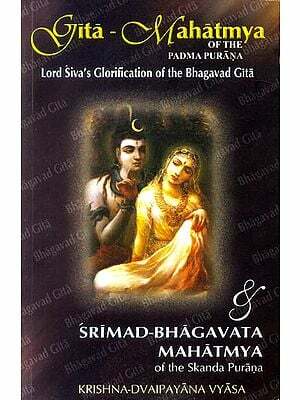 The quotations show that Puranas in those days were versified compositions in archaic Sanskrit and that even in those times there was a Purana called Bhavisyat Purana. It appears that probably to the pre-eminence of the war between Karuavas and Pandavas wherein the then contemporary Aryandom participated the Mahabharata with all its accretion came to be designated as itihas (history) and the rest of the ancient lore Purana. But both itihas and puranas are equally myth and history. It is presumed by scholars like M. Winternitz that similar to the Vedic Samhitas there existed one or several collections of itihasas and Puranas made up of myths and legends. During the Brahmana period the recital of narrative poems formed a part of the religious ceremonies at the sacrificial and domestic festivals. Thus the daily recitation of legends of gods and heroes belonged to the preliminary celebration which lasted a whole year of the great horse sacrifice. As shown by S. Bhattacarya it was this sacrificial milieu which led to the formation of the following main topics dealt with in the Puranas viz (1) sarga (Creation of the universe); (2) Pratisarga (Recreation after destruction or deluge); (3) Vamsa (Genealogy) ; (4) Manvantara (the great periods of time with Manu as the primal ancestor) and (5) vamsamucarita (The history of the dynasties both the solar and the Lunar). These topics formed an integral part of the definition of the puranas as given in the Amara kosa. But as G.V. Devashali notes the texts that have come down to us under the title Purana hardly conform to this definition since they contain either something more or something less than the limitations set by it. The reasons were obvious. 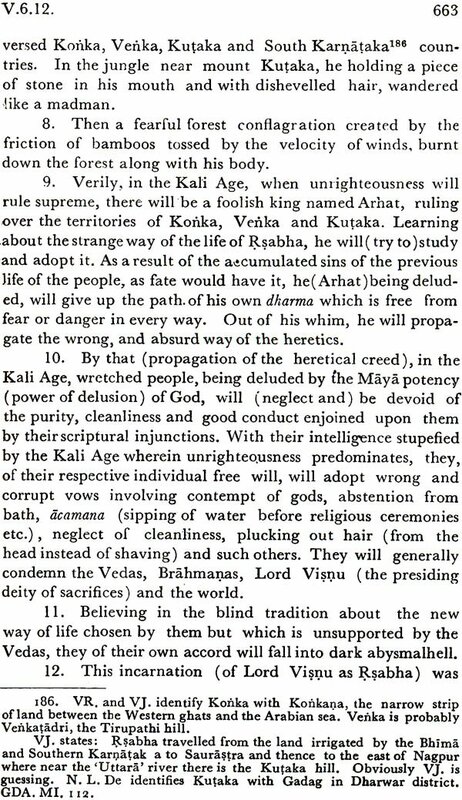 The process of Aryanisation of pre Aryan masses and assimilation of foreign invaders like Greeks Scythians Hunas and others in the Hindu fold necessitated the creation of a literature which included non Aryan beliefs rituals customs etc and could shape the conduct and meet the worldly and spiritually needs of the masses. Hence the conglomeration of legends of gods and tales of demons and snakedeities old sages and kings of ancient times in Puranas. Some Puranas like Agni, Garuda and Narada are ancient encyclopedias of literatures containing abstracts of works in arts and sciences medicine, grammar, dramaturgy, music, astrology etc. most of them are rich in dharma sastra masterial such as acara (religious duties), Asrama-dharma (duties pertaining to one’s social class and stage in life) dana (gifts) Prayascitta (Atonement for sins) Sraddha (Rituals pertaining to the dealt anniversary), Tirtha (Holy places) etc. they have amalgamated agamic Vaisnavism with early (Vedic) visnuism and agamic Saivism with the Vedic traditions. A numer of them are rich hence they afford us far greater insight into all aspects and phases of Hinduism its love of God its philosophy and its superstition its festivals and ceremonies when he calls Puranas as a popular encyclopedia of ancient and medieval Hinduism religious, philosophical, historical, personal social and political. Due to the enormous popularity and extraordinary reputration of the Bh.P. as being the most famous epic in India eminent commentators belonging to different schools of the Vedanta have tried to show that the Bh.P. supports their particular school of though. Of these the oldest and the most respectable annotator is Sridhara Svamin (SR) the author of the Com, Bhavartha dipika who follows the Advaitaschool of sankara. He assures that in his com. He has given the traditional interpretation implying Cituskha’s (1220-84 A.D) Com. On the Bh.P. it is an authoritative commentary lucid and to the point. They say that next to Vyasa (the author of the Bh.P) and Suka (Its exponent to king Pariksit) it is SR who understood the real import of the Bh.P. in its entirety. Nabha Dasa ji’s record of the legend that Lord Bindu Madhava Kasi approved SR’s Com. As the authoritative interpretation of the Bh.P. is another evidence of SR’s prestige and popularity SR has received complimentary tributes from commentators of other schools of the Vedanta who bodily incorporate his Com. Into their own and some openly admit his authority by urging that their annotations are just to elucidate and supplement SR. it may be due to the deep reverence expressed by Caitanya to SR that his followers like JG and VC presented sort of apologia for their commentaries mentioned above even though SR, finds no Radha in the Bh.P. due to SR’s reference to Bopadeva (13th cent.) and references of other writers cent A.D. Radha Ramana Gosvami (RR) wrote in Dipani the elucidate SR. though he tilts to Gaydiya Vaisnavism. Beyond the names of his parents (Jivana Lala and Srikrsna Kuvara he give no personal details. His grand father seems to be his spiritual preceptor. 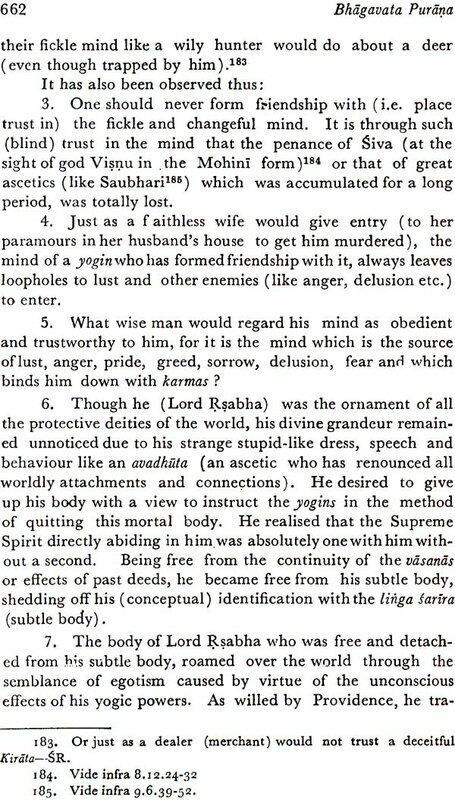 Vamsidhara, whose loyalities are with the Radha cult has written a learned and elaborate com. On sr. he was a gauda Bhramin of kausika gotra a follower of gaudiya vasavism and he extenstively quotes JC and VC. It is at the request of the scholars at Mathura that he wrote this encyclopaedic Com. His reverential approach to Sr is worth nothing. Sridhara alone knows the implication of Sr’s co. after paying obeisance to Nrsimha who conferred his grace on Sr. I being the exposition of SR through Sr’s favor. VD deserves careful study not only for understanding Sr but the BH.P. as well. Anvitartha Prakasika by ganga sahaya is a very useful com. As it explains practically every word and every important grammatical form. The author wrote this in his old age. His is silent about his personal details. The visistadvaita school is represented by Sudarsana Suri and Vira raghava Sudarsana suri the celebrated author of Sruta prakasika a com. On Ramanuja’s Sri Bhasya, wrote a brief yet learned Com. Suka-paksiya. He is reported to have died in 1367 A.D. when Srinragam was sacked by the forces of Allauddin Kilaji. VR (Viraraghava’s Bhagavata candrika) is ‘pleasant like the moon-light’—an excellent textual exposition of the Bh.P. from the Visostadvaita point of view. The v.l.s recorded by him and the explanations given are important. He was the son of ri Saila of Vatsa Gotra and a pupil of Laksmaa Mimi, his father’s disciple. He is supposed to belong to the 14th Cent. A.D.
Vijayadhvaja’s Padaratnavali is an able exposition of the Dvaita School. He closely follows Ananda-tirtha’s Bhagavatat at parya-nirzaya, not a Corn. but a digest of the Bh.P. The text of the Bh.P. used by VJ records a number of different readings, changes in the numbei and the order of verses and even in chapters as well. This is esecial1y found in the X Skandha to a considerable extent. He is an intelligent annotator giving unexpected explanations with the help of grammar, lexicon and other purnic and smyti references. He is supposed to have lived in the 15th Cent. A.D.
Sukadeva’s (SD) Siddhanta-pradipa presents Nimbarka’s philosophy through the BILP. But onc of the finest expositions of the Bh.P. is Vallabha’s Subodhini. Though it does not cover all the .S’kandhas, and its claim to present seven interpretations of the Bh.P. may be disputed, one must admit its profound scholarship, clarity of thought and felicity of expression. It is a pleasure to read Subodkini. Its author Vallabha (1479- 1531 A.D.) is the founder of the Suddhaciiaita school and what is popularly called Pustimarga, so popular in Gujarat. But Vallabha was a Krsna-yajurvedi Brahmaia from Andhra. He wrote his famous Com. 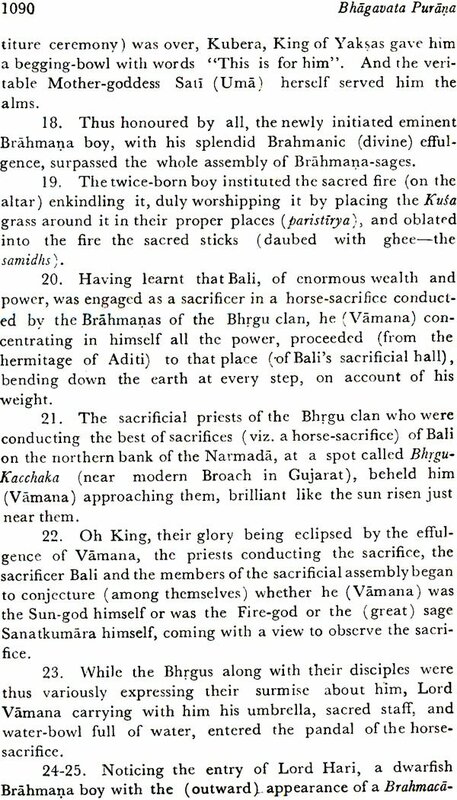 AnubMija on the Brahma stitra and established his Brahma-Vada (Suddluadvaita). Gosväm! 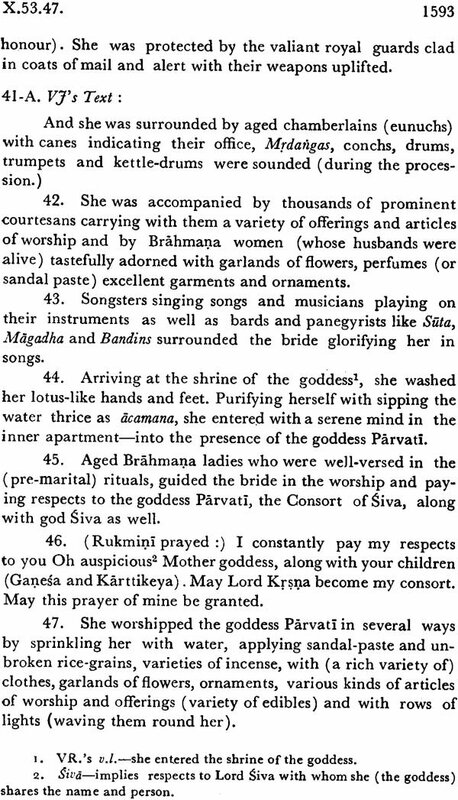 Purusottama (1700 A.D.) wrote .subodhini-Praksas to elucidate the Subodhini. 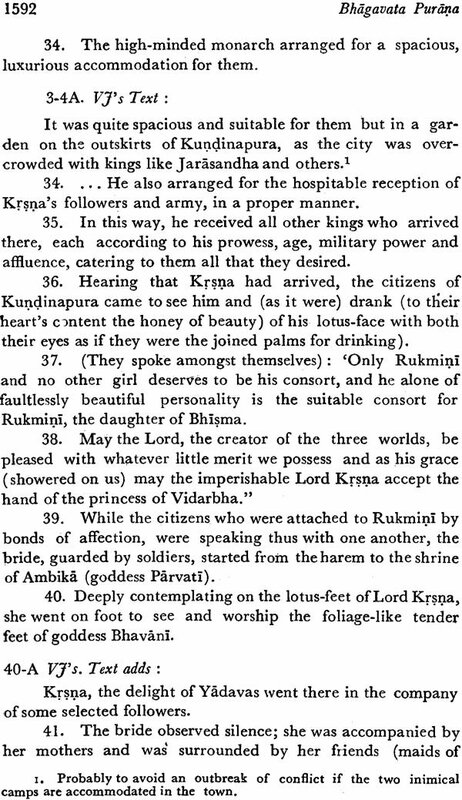 But Vallabba’s descendant Giridhara (later part of 19th Cent.) son of Gopala has given us a very lucid exposition of the Bh.P. in his Coin. Bala-prabodhini, very useful even to novices. Of the Bengal School of Vaiavism JO and VC are used. Jiva Gosvãmi (16th Cent. AD) the author of Saj-sandarbha is a great exponent of the Oaitanya school. He has written! Crama-Sandarbha and Vaisnavatosani (on .X Skandha) on the Bh.P. lie headed the Caitanya school after his uncles—Rupa and Sanatana Gosvami. It won’t be an exaggeration it one credits him to have established Gaudiya Vaisnavism on sound vedantic footing. As an ardent devotee of Radha Krsna JC is at his best in Vaisnavatosani, though the usefulness of kramasandarbha is not denied. As noted above JC modestly states that his commentary is merely an elucidation and elaboration of Sr. though actually it is an independent exposition based on a different philosophy Visvanatha Cakravarti in his Sarartha darsini on the Bh.P. closely follows JC but his treatment is more detailed and helpful to a common reader. 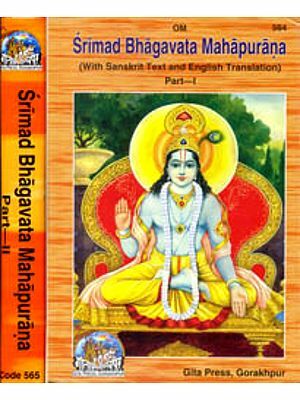 The translator has used a few more commentaries like Bhagavat Prasada’s Bhakta Manoranjani but the commentators are generally reticent about them selves.